The exterior of the Dedicated Senior Medical Center at 1575 N. 52nd St. in the Parkside section of West Philadelphia. Maria Gonzalez has only been receiving health care at the Dedicated Senior Medical Center nearest her home in North Philadelphia for a few months. But she takes comfort knowing that the physicians and staffers already know her name. "I like the environment, I like the place," said Gonzalez, 68. "You are important to these people. That's what I was looking for – to be somebody important to the doctors." 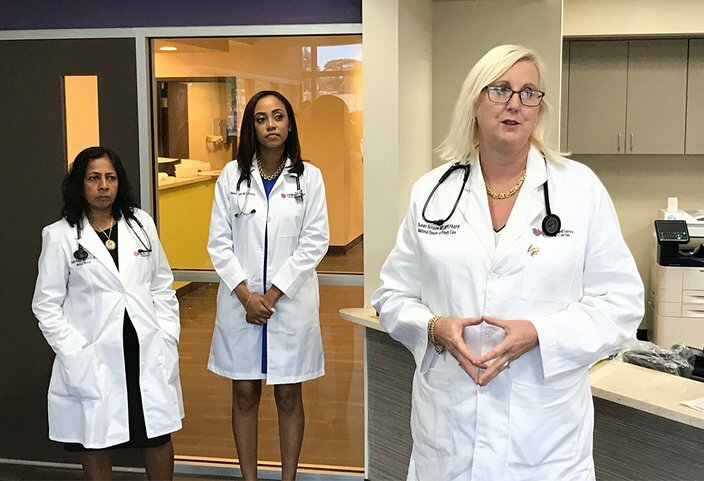 Dedicated – a division of ChenMed that offers medical care to low-income seniors – has opened two medical centers in Philadelphia's Olney and Allegheny West neighborhoods. Two other centers in Mayfair and West Philadelphia have soft openings set for next week. On Wednesday, officials offered a sneak peek at the new facility in the Parkside neighborhood of West Philly. The centers each provide seniors with so-called "concierge medicine," a practice in which patients receive enhanced primary care, courtesy transportation and an array of services all in one place. The goal is to provide more convenient health care while reducing emergency room visits and hospitalizations. To do so, Dedicated medical centers offer seniors blood screenings, diagnostic imaging and medication dispensing, among other services. The centers have specialists ranging from cardiologists to podiatrists to acupuncturists. Additionally, Dedicated caps its primary care doctors at 450 patients, allowing seniors more time with their doctors and the opportunity for same-day, next-day and walk-in appointments. "I have lots of time to spend with them," said Dr. Kimberly Rogers, a primary care physician. "I have fewer patients that I have to see and can see them more often." Dedicated's primary care physicians encourage patients to schedule monthly appointments, an effort to detect and manage high-risk diseases, thereby keeping seniors away from the hospital. ChenMed, which operates similar centers in five other states, claims its patients average 34 percent fewer emergency room visits and 28 percent fewer hospitalizations than comparable averages reported by the Centers for Medicaid and Medicare. Joining in the sneak peek Wednesday at the Dedicated Senior Medical Center in West Philadelphia were Dr. Susan Schayes, national director of primary care and regional chief medical officer for ChanMed, right; Dr. Kimberly Rogers, a primary care physician, center; and Dr. Sofie Parker, a cardiologist, left. Typically, concierge medicine require patients to pay an annual fee or retainer. But Dedicated patients must simply be at least 55 years old and have a Medicare Advantage health plan. That access is made possible through a partnership with Independence Blue Cross, the largest health insurance company in Southeastern Pennsylvania. Dr. Susan Schayes, regional chief medical officer for ChenMed, said it would be "almost impossible" to bring such services to seniors without the partnership. "It will allow seniors to get a lot more services," Schayes said. "At the end of the day, they can get better health care at a lower cost." 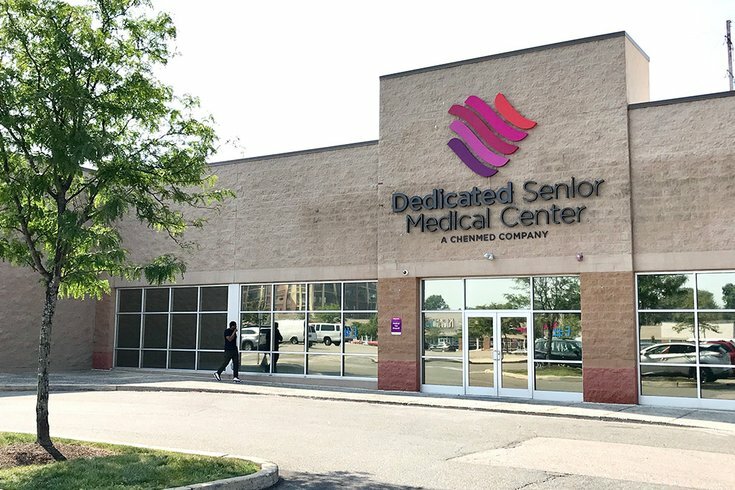 Seniors curious about joining a Dedicated Senior Medical Center are welcome to stop by for a visit and meet with physicians and staffers, Schayes said.